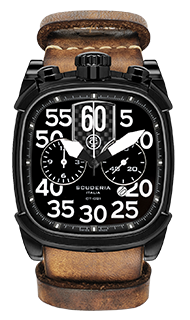 The clean lines of CT Scuderia were envisioned by Enrico's enthusiasm for experimenting with unusual shapes, lines, and patterns. 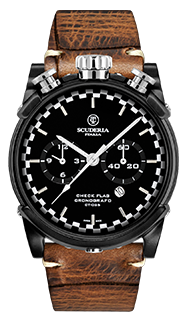 The unique feature of the crown and pushers positioned at 12 o'clock characterize the watch as a stop-watch. 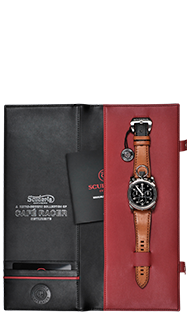 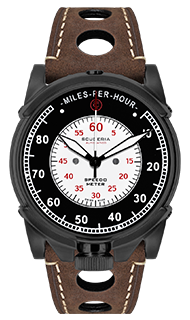 Its generous 44 mm size case can be separated from the strap to be used as a neck watch/stop-watch alone. 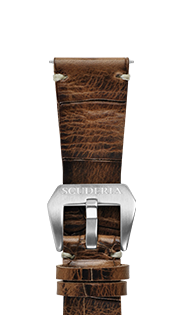 The interchangeable perforated leather strap is the same leather utilized in luxury sports cars, hand-made in Switzerland. 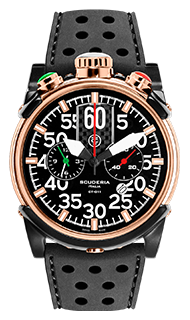 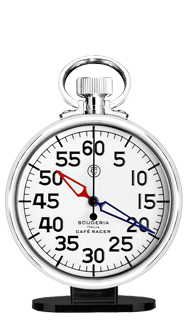 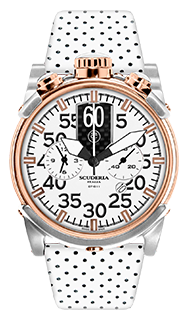 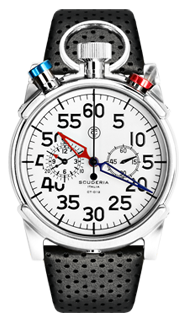 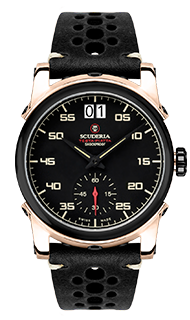 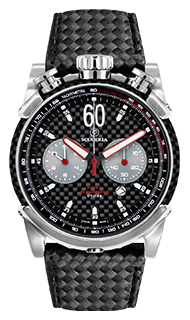 The CT Scuderia is one of the first Watch Houses to acquire RONDA movement 3520D. 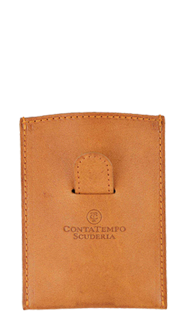 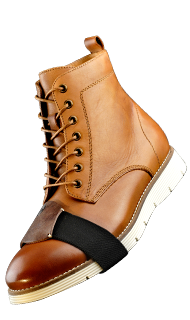 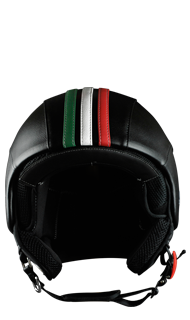 - The case construction is a piece of Hand Made Industrial Art: 6 o'clock horns are applied by screws which are different than the ones used at 12 o'clock as must be go around the pushers and the crown.